In some of the pronunciations below, you’ll be off by just tiny bit (and that’s enough of a mistake), and therefore you’ll have to look at the pronunciations carefully to spot the mistake you’ve been making. To give an example, the correct pronunciation of the word ‘refrigerator’ is ‘ri-frij-uh-rey-ter’. However, almost everyone calls it ‘re-frij-uh-rey-ter’. Did you catch ‘ri’ vs. ‘re’? For few pronunciations, I’ve highlighted the common mistake in red. You’ll realize that in most cases you mispronounce because you speak the word the way it is written. Each group of letters separated by the hyphen is called a syllable. 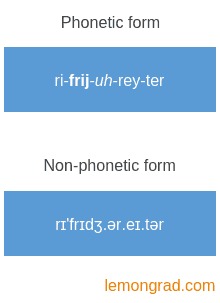 For example, the pronunciation ‘re-frij-uh-rey-ter’ has five syllables. 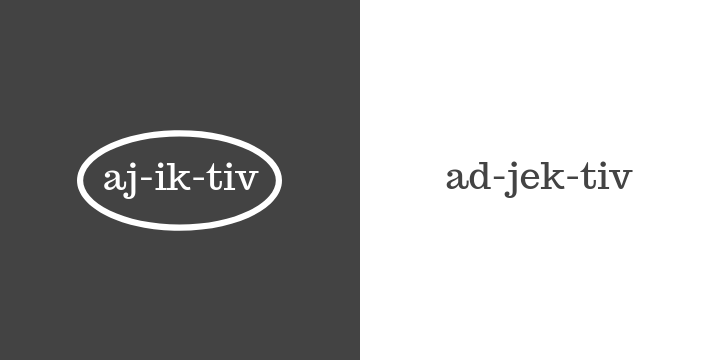 Syllables are the building blocks of pronunciation and are spoken as a unit sequentially. The syllables in bold need to be stressed (means they need to be said louder and longer than other syllables). For example, the syllable ‘frij’ is stressed more than other syllables while pronouncing ‘refrigerator’. ‘uh’ appears in almost every second pronunciation. It sounds what it looks like. I would suggest you to listen the pronunciation of few words such as ‘address’, ‘balloon’, and ‘cadet’ at dictionary.com to get a hang of ‘uh’ sound. When in doubt on any of the pronunciations in the tables below, type in the word in dictionary.com and listen.